The best tips for boosting energy involve making some simple lifestyle changes that can ultimately lead to a healthier and happier life. In this article, we will examine the top five ways you can increase energy levels naturally so you can get the most out of life. Eating right is vital to achieving a higher level of energy and maintaining this level throughout the day. When our meals consist of processed foods that are high in sugar and fat, we get a sudden rush of energy that benefits our bodies only briefly. As soon as we burn off that sugar high, we end up crashing, which is why people often feel tired and sluggish in the afternoons. Eating too many fried foods and other junk foods may leave us feeling full, but we're still not getting the nutrition our bodies need to thrive. By eating a diet balanced with a high quantity of plant-based foods, we can give the body what it needs to remain active over a longer period. Additionally, it's better to eat small amounts throughout the day, instead of skipping meals and binge eating in the evening. Eating periodically throughout the day gives your body the nutrition it needs to maintain a good level of energy. When you snack, focus on nuts, berries and seeds to fulfill that urge. By keeping these items handy, you'll be less likely to go for the processed, sugary snacks or to run out for harmful fast food options. To keep your body healthy, doctors recommend getting at least 30 minutes of moderate intensity exercise each day. Even if you're already getting that minimum level of activity in your daily routine, it can't hurt to add a little more physical exertion to your day. By doing a little something extra, especially when you begin to feel tired, you can give your energy levels a good little boost. If you work at a desk for the majority of your day, you should be getting up to walk around once an hour. This tip for boosting energy helps to get the blood in your lower extremities circulating and will help lower the risk of blood clots. If a little walk around the office isn't enough to boost your energy, try doing some jumping jacks or go for a longer walk. Take a trot up and down the stairs. You might also consider parking in the spaces furthest from the building to give you more time on your feet. Getting enough quality sleep is essential to our health, but it's also an important way to ensure we have enough energy during the day. When we sleep, our body regenerates itself. It also builds and restores muscles that were exerted throughout the day. 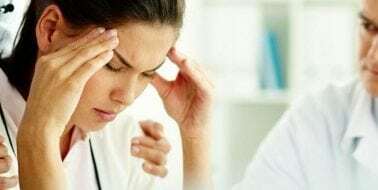 Failing to get enough quality sleep, conversely, will inhibit our ability to feel refreshed and cause mental health issues, such as anxiety and depression. One of the best tips for boosting energy and getting better-quality sleep is to eliminate caffeine in the evening hours and limit your use of electronics close to bedtime. The blue light that the screens on electronic devices emit disrupts the way the brain regulates our sleep hormones. For that reason, sleep experts recommend shutting off electronic devices at least 30 minutes before bed, though a full hour is preferable. If you still have trouble sleeping, take a look at your bedroom. If you notice environmental issues, such as disruptive lights or noises, try wearing a mask and earplugs to bed. A build-up of stress can affect the body in a number of ways. Physically, it can cause inflammation and weaken the immune system. This forces the body to expend more energy to fight off infection and illness, which leaves you feeling drained and tired. By addressing your stress levels, you can strengthen the overall performance of your body and it will use less energy to function. There are many relaxation techniques you can try that will help reduce your stress levels. For instance, incorporating meditation or yoga into your daily routine can help you reduce your stress levels. It will also strengthen your resistance against stressful situations, so those experiences will have less of an effect on your emotional well-being. If you have already incorporated these tips for boosting energy and still feel as though you need an extra spike in your energy levels, you might want to try a natural supplement. Products like Macabido Men's and Women's Formulas use all natural ingredients, so they won't produce the same harmful side effects that prescription medications might cause. Since they're chemical-free, they won't negatively affect your body chemistry like too much caffeine or sugar. You can avoid that devastating crash that accompanies artificial energy boosters. 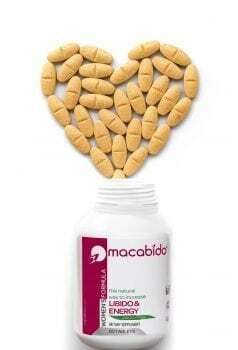 Macabido relies on ingredients that scientific research has discovered to be natural energy- and libido- enhancers. Lavender, ginkgo biloba, maca and passion flower are just some of the main ingredients that relieve tension and raise energy levels. Along with boosting energy, the supplement will provide a more balanced feeling of well-being. This will help you feel more focused and become more productive throughout your day. While some turn to medications to enhance their energy levels, there's no need to risk an addiction or a counterproductive crash. By employing all natural tips for boosting energy, you can get the extra edge you need without polluting your body with unwanted chemicals. In addition to affecting your energy levels, these lifestyle changes can help you live a healthier and happier life.